For those who might be looking for more info on how well Uber and Lyft pay, yesterday I drove for 9 hours and had the best day I've ever had, making about $195. There are several reasons for that, but part is high demand due to the recent snow and ice issues here. 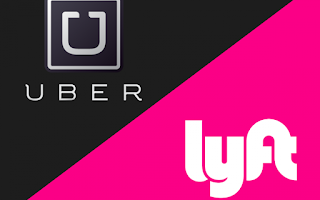 Because I am now able to drive both Uber and Lyft, in both Pierce and King counties, I had two airport runs and was able to fill in the gap between them with other local rides in Federal Way, Auburn, Kent, etc. Many other days I haven't been so lucky, and don't think the wage equalled the state minimum. It really depends on the luck of the draw, how many riders are out there and where they want to go. Hoping I'll continue to get better at this and have more $20/hr+ days! Another note, yesterday while delivering fares to the airport in my Subaru, I took a look at the queue for for-hire drivers (both Lyft and Uber). There's a waiting lot full of Priuses. In order to pick people up at the airport, you are required to be driving a 42mpg+ vehicle, so mostly that means Priuses. You drive into the lot and automatically get placed into the queue. Several days ago when I was there, the queue was about 150 vehicles long, and they said the wait would be over an hour. Not worth it, unless you have a good book to read. Yesterday morning (when I assume arrival travel was much lower), the queue was 43 for-hire vehicles. Probably 20 to 30 minutes of waiting, I assume. Since I wasn't driving my Prius, I couldn't get in the queue (I could drop off but not pick up). So instead I drove 15 minutes south and ferried passengers in Federal Way while I waited for my next pickup. Sometime when the weather is nicer I'll drive the Prius up and try out the queue and see how it works out. Stay tuned. Something happened today that further heightens my perceptions of the distinction (for drivers) between Uber and Lyft. Last week Darlene and I spent a few days on Fox Island (which is accessible by a land bridge to Gig Harbor), and I did some driving (for both Uber and Lyft) in Gig Harbor while we were there. During the prior week, while driving for Lyft, I had taken someone from Tacoma out to look at some property off the Hood Canal, then back home to Kent. I passed over the Gig Harbor bridge twice, but you only have to pay a toll on the return to the Tacoma side, so I paid $6 in cash (and got a receipt). If you have a GoodToGo pass, you can zoom through and get charged only $5 for the privilege. A week later, while staying on Fox Island, I ferried a passenger from Gig Harbor up to a hotel near the SeaTac airport. Hence I paid the same fare (again, $6 in cash) during the ride. Both Uber and Lyft claim they will reimburse such tolls. A week later, I doublechecked to see that they had. Lyft had not yet reimbursed me. Uber had reimbursed me $5 (not $6). So, I contacted both and asked them to make it right. I was asking Lyft for $6, and Uber for an additional $1. Lyft replied promptly and explained their policy was not to reimburse cash fares, but only automatic fares. But since this was my first time, they would reimburse me the $6. Uber replied and said they would reimburse me the additional $1 if I provided a receipt. So I dug through my records, found my receipt, scanned it, and emailed it to them at their request. They then replied back and said they wouldn't reimburse me the $1, since according to their policy (which isn't stated anywhere I can find) you have to request said reimbursement within three days! Uber is willing to stiff me for a measly dollar, while Lyft (even though they don't have to per their policy) willingly reimburses me for the full $6. Hmmm. I replied to Uber and had some choice words to share. They may fire me, we'll see. But this whole situation was (to me) a perfect illustration of the apparent reality that Lyft places higher value on its drivers than Uber does.